Men's 8” Steel Toe Logger.This rugged-looking logging boot has a shovel-worthy, triple bar steel shank for added support and an aggressive rubber outsole for dependable traction. These are the only boots my husband will wear for work. He loves them & they last a long time! Good product and delivered quickly. Was very pleased with the boots and they arrived so much sooner then I thought they would ! These are comfortable boots, and fit really well. Would buy again! Super fast shipping! Purchased for my husband and he has wide feet, boots fit perfectly, like a glove. Will be purchasing again in the future. This is the 4th or 5th pair of Carolina Boots I have bought. Last long and are comfortable. Fast shipping. Excellent quality boot, holds up well under extreme working conditions. I'm a Welder and these are my everyday boots. They hold up very well, they are cool (temp.) on the feet - Good Price! Very nice boots for the price. They fit like you've worn them for months out of the box. I love these boots. I use them in the shop, working outside, throwing hay, and even going to church. I've had them for about 5 years of abuse and they are like new(besides the oil and gas stains) in comfort and durability. Great boot. Great boots very comfortable and leather is quality. Fast shipping and excellent price! Boots run full size smaller than regular sneaker size. Great service and good pricing. I will continue to do business based on this experience. Great boots for just about anything that you need to do. I personally cut wood and work at a factory with these boots. They are by far the most comfortable boots that I have ever worn and I have had several different kinds. I already know what kind of boots I am going to get for my next pair. These are great boots. i Bought 2 pairs of these boots one for school and one for around the farm and they work great. they are the most comfortable boots iv ever had, i used to get pains in my legs, after i got these boots i don't. They are worth the price, and hold up great over time. these are the only boots my husband will wear. He works outside every day, and these boots have held up well. Shoeline provides great deals, and the shipping is super fast! I have purchased this style boot for many years. Other than the price increases I like the boot. Have been wearing this boot for years..and now Shoeline has been my 'go to' site for coupons, service, delivery and customer service. Thank you. 100% satisfied they arrived quickly and fit perfectly! My Husband was very happy!!! These boots fit perfectly & feel great! Was very happy with the boots and the shipping was SUPER fast!!! Extremely comfortable boot. Even new, it feels like it is well broken in. Great product. Very comfortable and great service. Shipped extremely fast. Second pair I have bought from here and I am very pleased with the shoe and the company. I had to return my first pair I ordered the wrong pair. I had no problem returning and getting the right pair back. What a pleasure it was. I work on ships and boats and these have been great boots for standing watch and working on deck. These are a great buy for a hard working guy on a budget. 3 years in and still going strong with hard use. Best of all they are very slip resistant for wet and oily surfaces. I have also used the for short hikes with no issues. 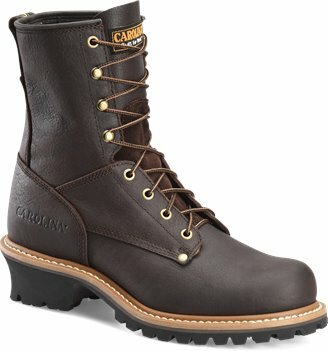 I highly recommend these great boots. Great boot comfortable right out of the box Don’’t think twice buy it. Found ordering online easy and even with an exchange no hassle and prompt. Will due business with this company again. Can’’t beat price as well. Could not believe how fast they came. Usually you wait and wait...I had them within five days of the order...no tax and no shipping...how can you beat it.. I had never purchased boots I couldn’’t try on. I did have a pair previously and used that boot size. They were insulated these were not. First pair were defective Lump in the arch so I sent them back with the A.R.S. provided. The second pair took even less time to show up and they were just right. I have worn them a couple of days and the Cambrelle lining is great for my feet. My husband has worn this brand for 20+ years and won’’t wear anything else. Nice quality boot that fits right that holds up to working out on the highway in all sorts of bad weather. This is the second pair we have bought out first once the brads that you wrap the laces bent and broke off. Now he has has these a week and the little holes at the top where the lace goes throughhas already came off. For the price I paid I expected they would hold together better. they are light weight for a steel toe boot. they tell me there legs feel good at the end of a work day. they are great for working on concrete all day. Nice boot for the price. Just a shame they aren’’t be made in the USA. China took more jobs. Great serviceordered Sunday evening had them in hand Tuesday afternoon. You can’’t beat Carolina boots. Ordered a pair of size 14 as there weren’’t any half sizes when you get this large of boot. Fit great and love the boot. Ordered a second pair for back up. I love this boot. I work for Verizon as and Installation and Maintenance technician. This is my 4th pair and when I put them on it’’s instant comfort. No need to break them in. The first time I bought and wore them I worked 11 hours and didn’’t even take them off when I got home until I went to bed. As far as shoeline you are great. I save $40 on the boots compared to the closest local competitor. There wasn’’t a charge for shipping and handling I received email updates on when they were being shipped and received them within a few days of ordering. I am very happy with the service and am sure I will use Shoeline again for my next purchase. I love the boots great fit and a great price for a rugged boot. 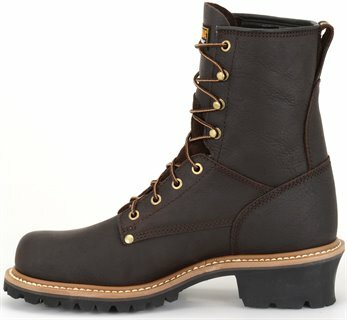 A well crafted boot with good support and a good heavy built sole. Will buy the brand again. I’’ve only been wearing them about a week and my feet still haven’’t fully adjusted from my old Carolina Work-Flex boots awesome lasted me four years but they are getting more and more comfortable every day. Outstanding comfort. Great price. I’’m buying a second pair. They are slightly wider than D-Medium. Still great boots and likely cut this way to accommodate thicker socks. Seems like a decent quality boot. Breaks in fairly easily. Pretty comfortable to wear. great boot for the price fits a bit narrow had to get 4e. Fine workmanship on these boots. The narrower heels reduce the ’’clunkiness’’ typically found with boots. I am quite pleased. fast easy service would recommend boot and company to anyone. Shoeline did a perfect job with advertising and getting the product shipped out cannot complain. I need to return and order one size larger because of the steel tip. Been buying Carolina boots for 20 years. Great prices here at Shoeline.com and super fast shipping. Thanks and keep up the good work. Recommend this company very muchquick shipping also. I LIKE THESE BOOTS AND WOULD DEFINITELY CONSIDER PURCHASING ANOTHER PAIR OF CAROLINA BOOTS IN THE FUTURE. I AM ALSO IMPRESSED WITH THE PROMPT DELIVERY OF THEM TO MY HOME. Nice Boot. Shoeline is the best on-line shoe store without question. this boot was just as it was described and shipping was excellent. I would buy boots here again and the prices beat my local boot dealer and you cant beat saving a dollar. Very good steeled toe boots. The soles are put together with screws. Very nice in appearance. Made very well. My husband said that they are very comfortable to wear. Will buy the boot again and will purchase from your company again. Thank you for a great product. Shipping was fast. Boot is nicer than I expected. Thick heel and soft sole. ordered boots on friday got the boots on the following tuesday fast service yet again from shoeline the boots themselves fit perfectly even though i ordered them 1/2 size larger than normal great boots so far. i am very pleased with my new work boots.they look and fit greatand the price was reasonable as well. These boots were for my husband and he absolutely LOVES them. Carolina Work Boots have been my husband’’s favorite for years. The stores in our area that do carry Carolinas have a very limited selection so this worked wonderfully. My favorite part was the very fast shipping and the fact that a prepaid return label is included Just in case they dont fit quite right. We will DEFINATELY purchase from here again. This is my second pair of Carolina boots. I am hard pressed to find a dealer near me so I went online. I am normally not one for ordering things online due to the size factor. You never know if it will fit right or be tight here and loose there. I got the boots Two 2 days after ordering Thank you shoe line and they fit as well as if I had gone to a store and tried them on. Of all the boots I have worn in the past being in the construction field and a volunterr fireman I must say that Carolinas are some of the best I have worn. The breaking in time is the only slightly uncomfortabe part but that does not last for long. The shoes are excellent and comfortable. I work for the water distribution system at the local utility company. These shoes provide all day support and are extremely durable in water and mud. I will be orderering another pair shortly in order to have a pair always in stock. Great service including prepaid return shipping for exchange and quality products Carolina. Will definitely order again. I got the shoes just a little later than the 2 days but the fit is excellent and the shoes are very comfortable. I would definatly order from shoeline again. Product is just what i wanted. They are comfortable and I am 100 satisfied. I would gladly purchase these again in the future. Excellent boot at any price. Well made nice details. Cooler than boots w/ lots of padding. They fit me perfectly and broke in in one day. My husband won’’t but any other work boot. And shoeline.com has the best price out there. The shoes arrived in great condition and arrived in within three days. Saving me price of gas and shopping time. If I had gone to our local shoe store I would have had to wait for almost a month. I will be shopping at your web site in the near future.